Looking for a good scare close to Halloween? Every year for about seven years DSU has been putting on a haunted house. DSU students get together with the community and put on a haunted house for the surrounding area and the university students. 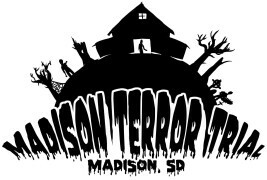 This year the haunted house is opened October 22nd. It starts at 7pm and goes until 11pm. On that opening night, Dakota State University students can go through once for free. Keep in mind this is with an ID. The last day of the haunted house is on October 24th, at the same time as above. The location that the haunted house is held at is the 4-H grounds (1001 S Egan Ave). Many DSU groups are involved. Community members also get involved as well, and work side by side with the students. Last year, W.H.O held the haunted house, this year it has been passed down to Drama club. This year Cameron Hicks and Drama club president Laura Bieber are leading the Haunted house. The haunted house is already in full set up swing. From the sounds of it, the community, and university students have a treat in store for everyone.